Hi everyone! How have you all been? Today Ella and I went last-minute Christmas shopping.. we didn’t get very far, we didn’t find anything we wanted, we got lunch (Tampopo, one of my absolute favourites!) and then it just started raining so we got the bus back to the flat, sigh. I did get wrapping paper though, which is a good thing I guess! Ella got new Vans in the Office sale which I’m pretty jealous of though, paha :3. This is what I wore for our shopping trip, with my huge leather jacket thrown over the top to keep me warm- I ended up being boiling because this jumper is really warm, as are the socks, surprisingly! Previous Post I’ll be waiting, with a gun and a pack of sandwiches. Been wanting this skirt for ages! P.s. You are perfect, as always! Have a nice day! Oh my goddd, it sounds so cold there D: I don't think it's every been -10 C here, at least not from memory, the coldest it gets here is about -3 C! But at the moment it is about 7 C, it was colder last week, but it's got warmer recently, so I tried wearing this skirt because I've wanted it for ages and just got it! It wasn't too bad actually 🙂 aha! 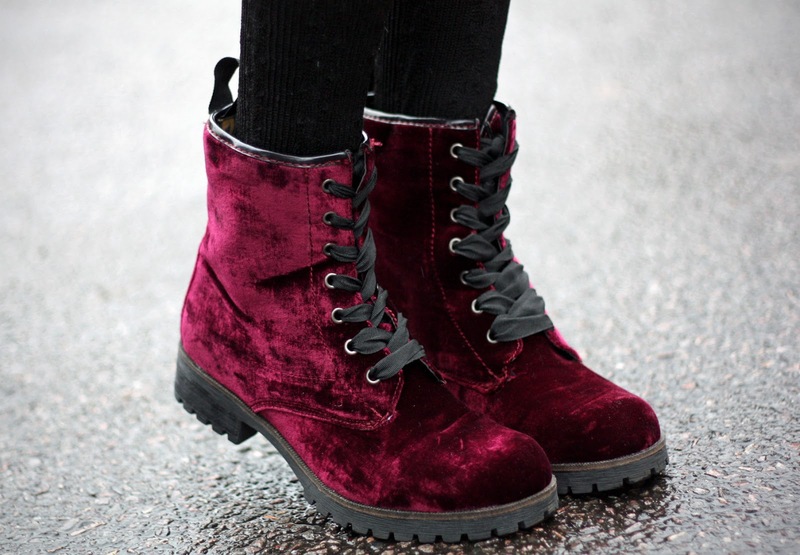 Those boots are to die for! And you're a step ahead of me on the Christmas shopping, I haven't even bought wrapping paper yet! As my comm' on lookbook, I love very much this look ! perfect and very cute ! 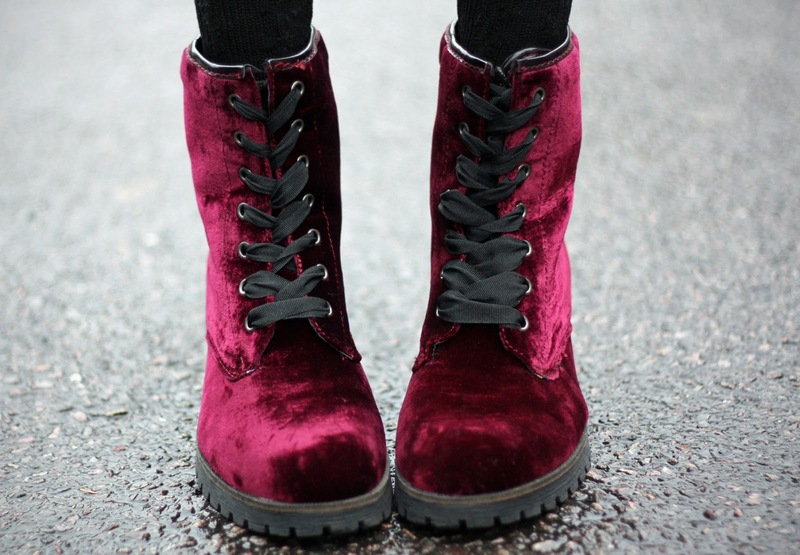 i'm a great fan of over the knee socks ( however AA ) and those velvet boots are a must ! I have a pair of Zign thigh high boots , there are awesome ! ♥ ♥ ♥ you are beautiful !